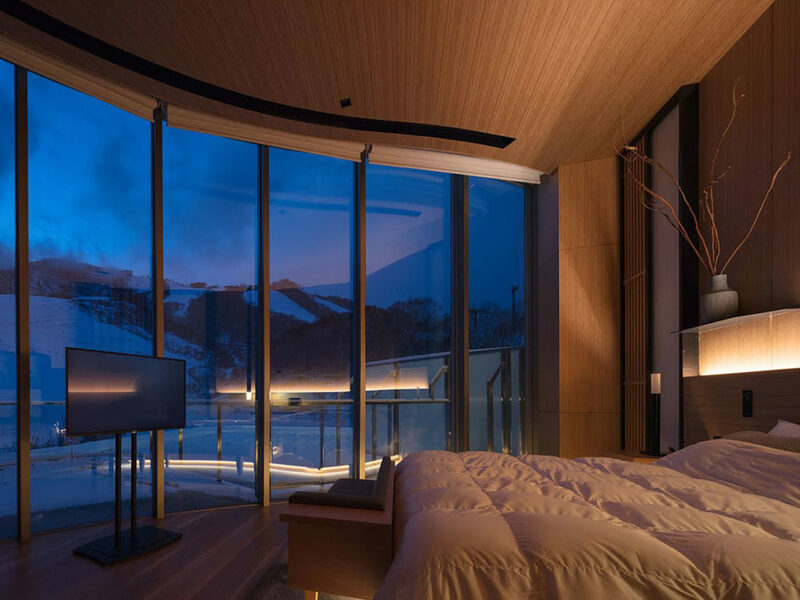 Skye Niseko, a privately owned, luxury condominium-hotel ski resort in Hirafu, Japan, is now open. Located within breathtaking Hokkaido National Park, Skye Niseko captures the discreet charm of Japanese culture and luxury alpine lifestyle. 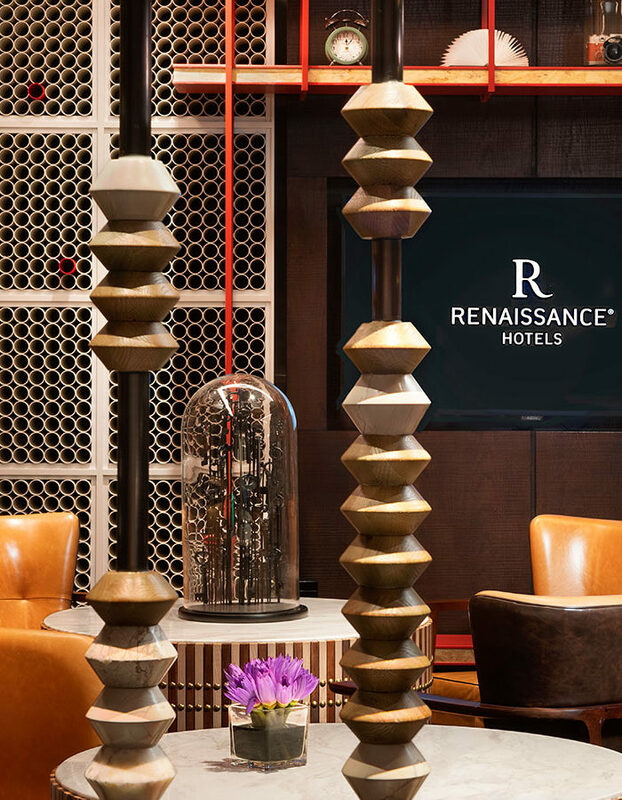 The design team was tasked with conceiving the lobby, corridors, spa, cafe deli, ski valet, and a total of five penthouse suites. 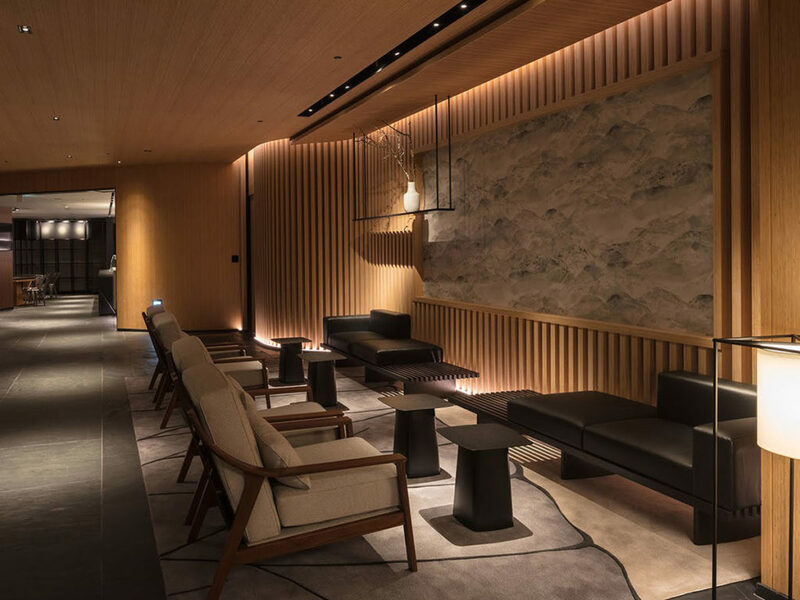 Upon entering the lobby of Skye Niseko, guests will discover a raw split-cut stone that resembles a cut-out slab of the mountain. Located behind the reception desk, the raw, split-cut stone contrasts with a dark metal finish. Providing a sharp contrast to this focal point, Wilson Associates added a textured slate floor, bamboo wood surfacing, and vertical beams along the ceilings. Skye Niseko offers a stunning collection of 100 residential apartments, designed by Australian-based Pike Withers, and five penthouses, designed by Wilson Associates. 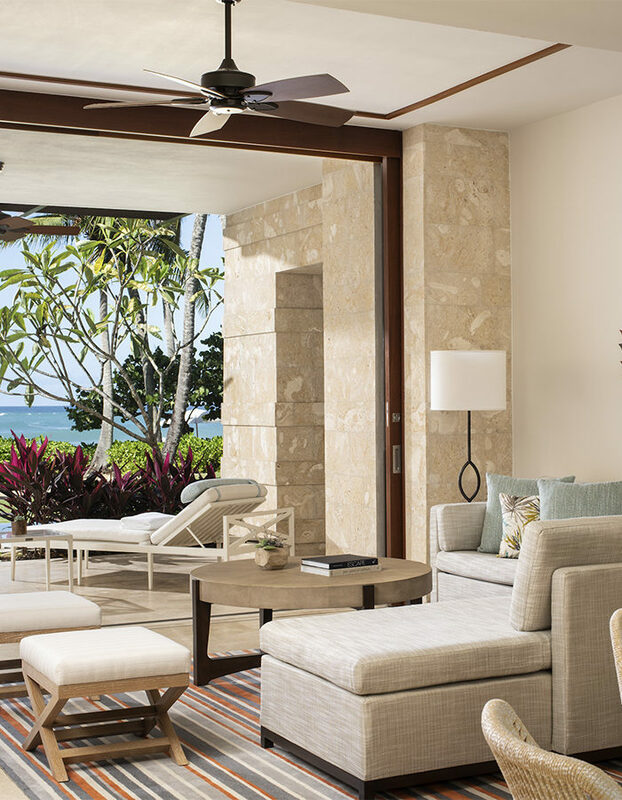 The five penthouse suites, which offer three or four bedrooms, are equipped with full living and dining spaces. The resort is comprised of two interlocking ‘L’ shaped buildings—connected underground to ensure that all living rooms and bedrooms have external views of the mountains and ski slopes. Each penthouse is outfitted with state-of-the-art kitchens, heated outdoor balconies with lounge seating, open fireplaces and Rotenburos (exterior onsens), which are fed with rich mineral water from deep within the mountain. The monochrome and minimalist theme is carried throughout the interior of the suites, in which the rooms are painted in varying shades of eggshell while Zenith hand-tufted rugs in charcoal and gray anchor the aesthetic. Clean lines and simple forms were mandated for the furniture selection throughout the suites. Ensuring easy access to the slopes, the contemporary ski valet incorporates a full ski and board rental facility on site, exclusively to residents only. After a day spent on the slopes, visitors can retreat to Ryoko Spa. 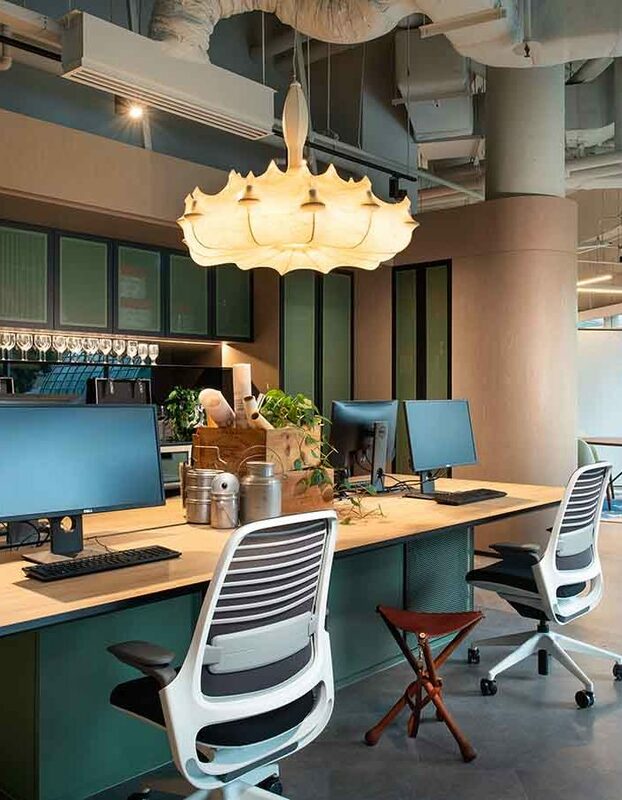 The communal space features a sculptural chandelier inspired by the mountains of Hokkaido. Tatami-mat-inspired materials add texture to the walls of the private treatment rooms, and the spa features Hokkaido’s first-ever float tank. 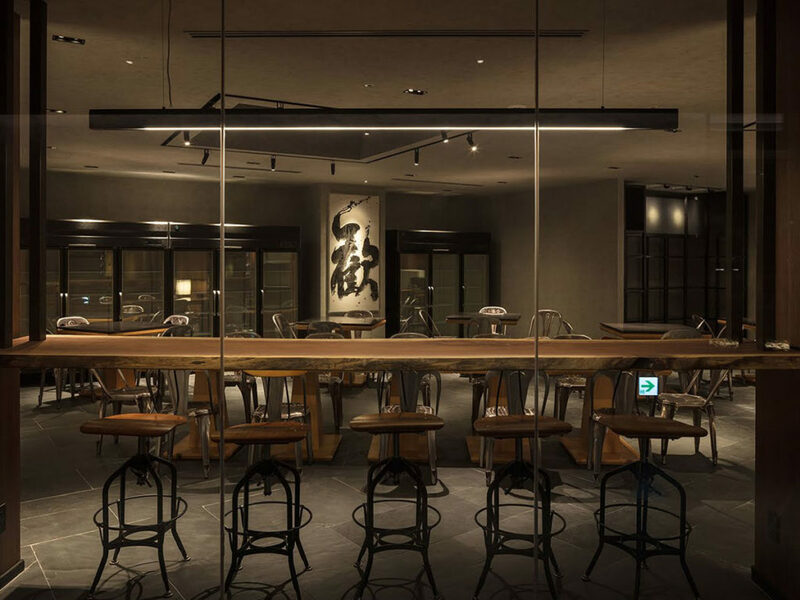 At Skye Niseko, onsite dining options include Kumo Restaurant, a fine dining venue that serves Hokkaido fare with local ingredients, Japanese soul-food favorites, and apres ski drinks. There is also a cafe deli with convenient grab-n-go items.